For effective marketing and advertising of any business, it is vital to launch the business in the Internet platform. However, these days everything is going online, even business entities. Buying, selling, advertising, marketing as well as customer acquisition is certainly possible in the virtual world. To have a successful online business, it is important that every possible digital marketing strategy is applied. Entities that lag behind often lose the competition. This is the reason why it is important that as a young entrepreneur you must keep yourself updated about every new software and applications that are being launched. Social media networking is one of the most capitalizing platforms that an entrepreneur can use for his or her business. When the motive is customer acquisition then one must plan their advertising strategy only for social media networks. However, a single mind is not enough to get the most innovative and attractive ideas for social media strategy. 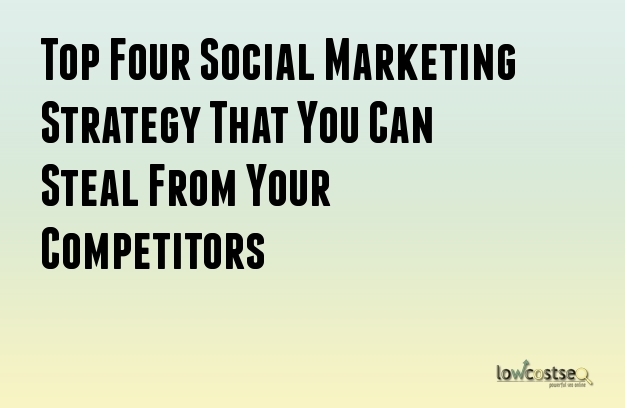 This is the reason why here are certain tips that you can borrow from your competitor’s social media strategy. Most of your competitors generally build a community of their own or build up a broad network through social media communications. You too can do the same i.e. either build a community of your own or start a social communication concerning your business on facebook. This is one social media platform where traffic rush is huge and most of them look to communicate with their family members. So, looking to broaden the customer base in this platform is a wise decision. More than half of the adult percentage across the world uses this platform. In this platform, you can certainly post business related news, articles, and timely insights just like your competitors. Twitter is mainly used by young men and women across the world. Nearly 17 to 18 percent of the adults are actively using Twitter these days. So, if you feel that there is something for your post about your business and twitters is a suitable platform then certainly make use of this platform. If you are into a B2B form of a business and you have the feeling that you can certainly provide insights related to your business then Make use of the LinkedIn platform. This is the best place where you can grow your business connections. This platform is optimal for peer-to-peer networking. Nearly 20 to 22 percent of the adults are actively using this platform on a regular basis. In order to have a successful marketing campaign for your business, it is important that you provide relative images about your products and services. Thus, in order to make your images public to your people it is best that you make use of the Instagram platform. Studies clearly show that people are more engaged on Instagram than on facebook. Approximately 15 to 17 percent of the adults are actively using the Instagram platform. Thus, it is important that you strategize well for your marketing campaign.